What comes to mind when we hear the word “summertime?” Relaxed, balmy evenings, or longer days and a bit of a slower pace? Maybe we think of lazy, hazy days of fun with the family vacationing at the lake or beach. Sounds like fun, right? 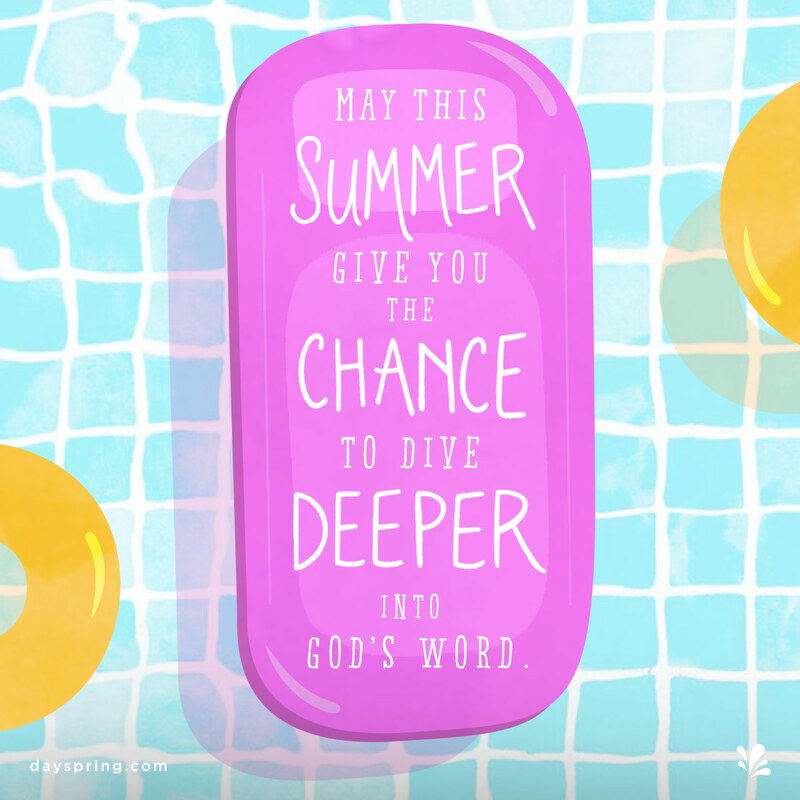 But how can we combine those fun summer pastimes with sharing our faith? I mean, we’re already enjoying the beauty of God’s amazing creation, so what can we do to share these amazing gifts from God with our family and friends…maybe even our neighbors? Here are a few suggestions that might get you started. How about grabbing an easy dessert to take outside after dark? Turn off all the electric devices, take some towels or blankets to sit on, and enjoy watching the stars. That would be a great time to talk about our magnificent Milky Way Constellation and how God’s beauty is shown throughout the galaxies. Sit quietly and listen to the crickets, or watch the fireflies flitting through the darkness. What a perfect time to talk to our children (or grandchildren) about the wonders of the universe that God spoke into existence! And while our hearts are quiet, we could let each person tell about their “best blessings” from the previous week, ending the day on a sweet, positive note. Spending time alone this summer? While the weather is milder, how about taking time to get outdoors? If you don’t have a yard, you might find a park or green space near you where you can center your heart and mind on Jesus. What joy we can experience just observing His creation and becoming more aware of His presence. Do you like journaling or reading? Those can also be relaxing outdoors tools, and for inspiration, pick up an old favorite book or a new one. And have you noticed all the wonderful new coloring books for adults? Here’s another suggestion for a fun summertime activity that can include family or friends. After a pleasant picnic, my husband and I recently went on a wildflower walk at a park near our home. Our tour was led by a friend who helped us identify flowers and plants. I came home with some great ideas for beautifying my patio. My grandkids are helping with the watering, and that gives us uninterrupted time to share what we’re thankful for, like water and the colorful world of plants fashioned by our Lord. See how easy it is to integrate our beliefs into our daily conversation! Yes, there will be an abundance of flowers and singing and joy…for the Lord will display His glory there, the excellency of our God. Surround yourself with simple reminders of God’s love this summer. Place an inspirational perpetual calendar on your desk, decorate your kitchen counter with a clip frame & art print set, choose from over 100 faith-filled wall art pieces to display in your living room, or fill up this “Fire and Grace” Insulated Tumbler with ice cold water on your way to the beach. Also, be sure to send your loved ones a Summertime Ecard to remind them to praise God for the beautiful, sunny summer months. Enjoy the beauty of God’s amazing creation this summer!